This is a slim volume of about 100 pages but is has the impact of a book perhaps 300 or 400 pages. It’s a major challenge to review because so many issues present themselves, sometimes even in a single paragraph. In fact, I’ll go as far to say that there is “hidden” information encoded within certain tracts of this document – but am I going to discuss that? No way. (I’ll reserve that for the advanced class, another time). So this is a book in which author WILLIAM BEDIVERE has made contact with the afterlife personality of the writer Ken Kesey, most famous for his novels One Flew Over the Cuckoo’s Nest and Sometimes a Great Notion. Both books were adapted to popular Hollywood films. Cuckoo’s Nest was a huge critical and financial success, winning the Oscar for Best Film in 1975, and several other Academy Awards. Of course, Kesey’s other fame was that of counterculture icon status fueled by his high-profile LSD-soaked exploits that became a central element of the Hippy generation of the 1960s. 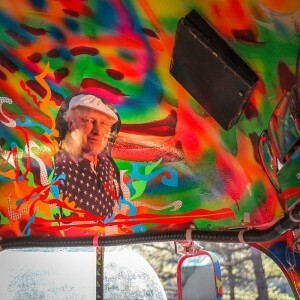 Kesey died in 2001 at age 66. What’s utterly fascinating about this book is how the “Kesey Personality” at first comes on strong and feisty, spouting lots of groovy, wavy gravy pronouncements typical of hallucinogen-informed concepts and representing Kesey’s (early) lifetime personality. 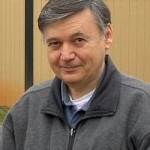 He raves about the “War On Drugs,” framing it as a power struggle between the forces of evil (it’s the usual suspects: the government, CIA, establishment pigs, fearful fundamentalists, take your pick …) against those courageous Consciousness-O-Nauts who would dare smash the status quo by cracking the Collective Cosmic Egg of humanity with a selected line-up psychotropic kickers. But then as the pages melt by, the Kesey Personality gradually recedes, giving way to a consciously expanded, yet softer Group-Mind Entity that continues to hold forth with mellower, yet profound transcendent concepts. This transition is highly significant and provides an important insight into what all of us need to understand about the nature of our existence, who and what we are, the nature of the afterlife — and I’ll expand on this more in a bit. 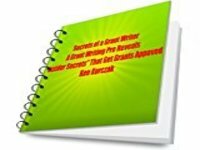 This document conveys all the tell-tale signs of authenticity – that is – I’m satisfied that the author is in no way a charlatan spinning tails of pure imagination, or simply attempting to leverage his familiarity with Kesey’s works to create a narrative that merely parrots what a deceased version of the author might have to say. One such marker of the bona fides is a measure of the author’s agony. In this case we can feel the nagging pain of Mr. Bedivere dripping off the pages. A plodding kind of existential angst smolders throughout, and even more so, a plaintive longing for … for … what is beyond … and for meaning. When you combine this painfully urgent need to know, to understand, to seek, to find, to discover, to explore – with the one of the worst sufferings of them all – self-doubt – then you get some measure of the intellectual courage it takes to take on these kinds of tasks, and where you find courage, you’ll find authenticity. Again, the author demonstrates all of the above. (As novelist Rita Mae Brown said, “A writer cannot hide on the page”). So, I am impressed with an overwhelming sense that what we have here is a genuine afterdeath contact and dialogue with, yes, the “real” Ken Kesey – although I beg the reader not to over-simply who or what the “real” Ken Kesey might be. After our physical body dies, the consciousness that is the ego-based personality survives. NASA physicist and early MONROE INSTITUTE research pioneer TOM CAMPBELL calls this a “Free Will Awareness Unit.” (FAU) (I’m borrowing a couple of Campbell’s terms here because he has coined some of the most lucid and descriptive jargon for all of this). The FAU is part of or an aspect of an Individuated Unit of Consciousness (IUC) – this is the aspect of the person who “operated” the FAU while it was “alive” in physical 3-D reality. The ICU is not in physical reality, but in the nonphysical realm composed of Consciousness. The IUC in turn is almost certainly a part of a larger organized system of consciousness that we might call an “Oversoul” (a more traditional term, not Campbell’s). The Oversoul if a kind of “group mind” being that encompassed dozens, hundreds, but most likely thousands of “people” or individuals that also once manifested in our 3-D physical reality as Freewill Awareness Units (people) here on our planet Earth. And I could continue going “up the ladder” to higher and more complex organizations of consciousness, indeed, all the way to “The One” or “All That Is” – but that is a long journey indeed, so let’s stop here. • That which was the Freewill Awareness Unit that was Ken Kesey. • That which was is the IUC, the Individuated Unit of Consciousness that operated the FAU of Ken Kesey. • Both the FAU and IUC at the same time. • Those continuing upper levels of “Group Consciousness” organizations to which all the “lower” Ken Kesey elements belong. 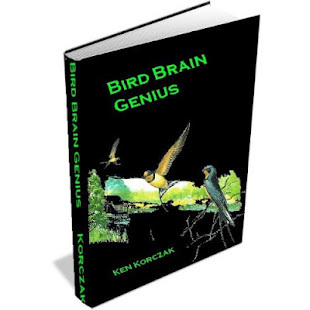 What is clearly demonstrated in this book is how the author comes to get a sense of this larger multidimensional nature of the Kesey personality. The “Greater Ken Kesey Consciousness Organization” (my term) slowly reveals itself as the pages go on from beginning to end of this book. 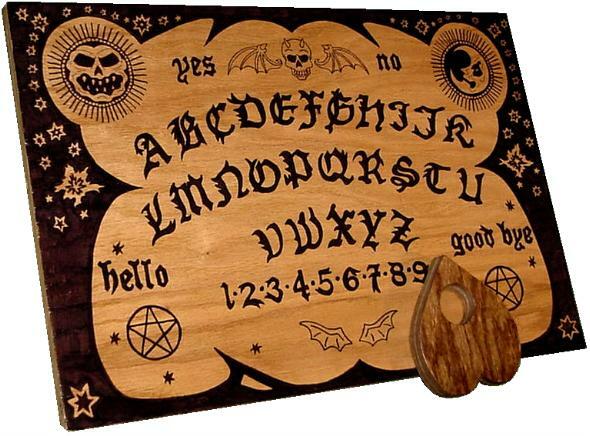 If we want to, we can focus our conversation with a deceased individual on communication that is strictly limited to just the Freewill Awareness Unit, or that which was the ego-based consciousness once manifested in 3-D, physical matter reality. But can it be said that this “version” of Ken Kesey is the actual Ken Kesey? The “real” Ken Kesey” has actually moved on to other, higher realms of consciousness. His mission on earth is done. He has little no reason to just hang around for years on end merely in the event that someone like William Bedivere (or anyone) wants to have a conversation with him. However, we can still have a perfectly legitimate communication with that individual we once knew as Ken Kesey, as he once was. That’s because we can connect with the sum total of the “data” that was once Ken Kesey – Tom Campbell calls this a “supremely complete probability record” of Ken Kesey. 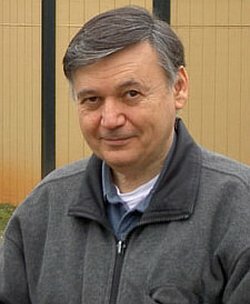 This “supremely complete probability record” might be compared to a computer file that has been saved, but it is an utterly complete file that contains absolutely everything that Ken Kesey once was down to the very last atom, electron, neutron, quark – everything! So in essence, IT IS KEN KESEY – albeit a perfect “saved copy” of the original. Let me emphasize, even though the “real Ken Kesey” has moved on, this “supremely complete probability record” that we can now communicate with is in fact Ken Kesey because it is an absolutely total, perfect and “supremely complete” copy of what was once the “real” Ken Kesey. 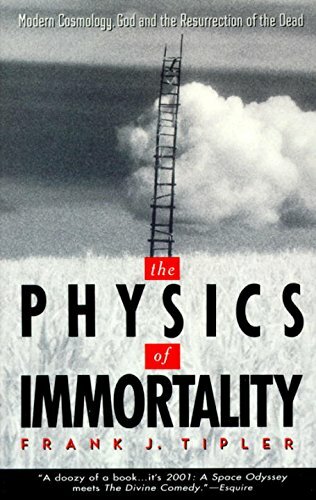 (Note: For an excellent discussion about the legitimacy of a “perfect copy” of a human being after death and “resurrection,” see this book: The Physics of Immortality, by Temple University Professor of Physics, Dr. Frank Tipler). Note that because the “real Ken Kesey” has moved on, the “Perfect Copy” of Ken Kesey that was once his Freewill Awareness Unit no longer has free will – although it can seem like it has free will because it can answer our questions based on an almost infinite number of probability choices. For example, we can ask a question in 10 different ways with 10 different intents, and the FAU of Ken Kesey will respond differently to each one based on the nature of our intent and the way we ask the question. But left to itself, the FAU of Ken Kesey cannot innovate on its own because the “real” Ken Kesey has moved on and the FAU is now a “closed system.” However, innovation and free will awareness can“bleed” into the responses we get if higher aspects of the FAU get involved. 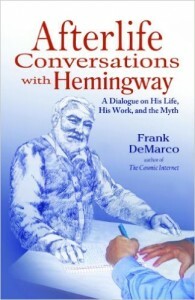 A spectacular example of this is the work of author FRANK DEMARCO He has engaged in extensive afterdeath conversations with the deceased writer Ernest Hemingway. It’s proper to bring DeMarco into this conversation here because Mr. Bedivere acknowledges DeMarco as the inspiration for his work with Kesey. 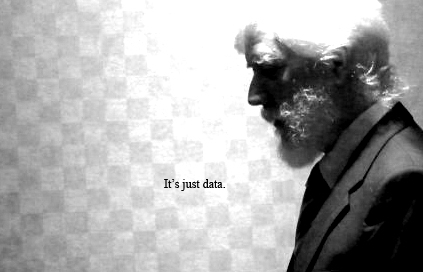 In my opinion — and perhaps DeMarco himself may not agree totally – the bulk of the information DeMarco is channeling from “Hemingway” is that “saved copy” of what was once the Hemingway Freewill Awareness Unit – although from time to time, “higher aspects” of the Multidimensional Hemingway do come forth to further inform (and innovate with free will) the communications between DeMarco and Hemingway. 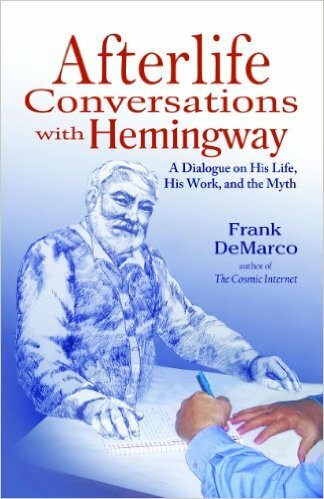 However, most of the time it seems to be DeMarco’s intent is to keep his communication with Hemingway focused as close as possible with only the ego-based Hemingway we know from history. That’s because DeMarco is fascinated with commentary on the life and times of the “real, physical” Hemingway, and the specifics of his body of literary works, his politics, beliefs, etc. 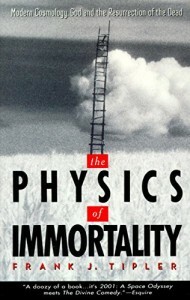 If DeMarco “intended” more or otherwise, he could certainly “climb the Multidimensional Hemingway ladder, so to speak. (And sometimes he does, I speculate). 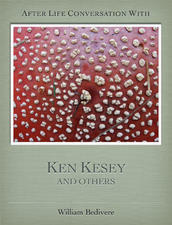 The case is similar with this book on communication with Ken Kesey. Another example I must mention is that of Jane Roberts, author of the famous Seth books. 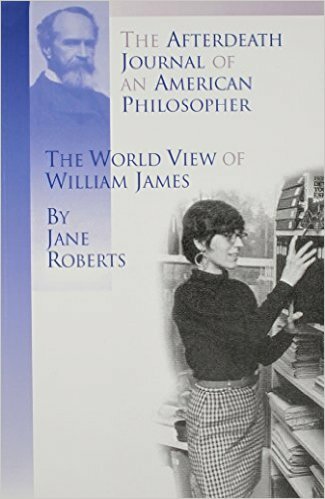 Roberts also channeled a book-length document in cooperation with a great deceased personality, that of philosopher and proto-psychologist William James, producing, The Afterdeath Journal of an American Philosopher. The book is a masterpiece. What’s interesting to note is that Roberts was highly circumspect about just who or “what” she was actually communicating with. 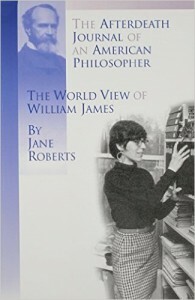 She speculated that she was not so much having a conversation with the “real spirit” of William James, but rather the existent and detached “World View” of William James, which was somehow stored out there in the greater realms of the Conscious Universe – this sounds an awful lot like Campbell’s model, the Freewill Awareness Unit. Anyway, I have rambled on far too long, and yet, have not touched on even a fraction of the rich load of material and implications suggested by this intriguing manuscript. I would be remiss if I did not mention that Mr. Bedivere’s book is well written. And don’t be quick credit for the lively prose to Ken Kesey – far from it! I can guarantee that the credit belongs to Mr. Bedivere, but if I try to explain why, I’ll be off and running through several more pages. I should also mention that are instances of true hilarity! In a couple of cases, Mr. Bedivere sees fit to ask his transcendent connection with an ascended great author incredibly mundane questions – such as what to do with a problem he is having with his taxes! Ha, ha! It’s great! a) b) A dollop of sensationally bad advice! Oh man, it’s so funny! Never discount humor as an important marker of authentic afterdeath communication, or the channeling of legitimate transcendent information. I’m reminded of philosopher Bertrand Russell who said that he was troubled that the Bible seemed to contain no humor, and at least for him, that cast doubt on the legitimacy of the Holy Book. Ahhhh … I wish I could go on and on … but it’s past time that I pull the chain (as they say in the Hood). Suffice it to say I consider this small book a gem, and authentic example of afterlife communication that bears reading and rereading, each time delivering a different set of insights to the open-minded, yet skeptical, but always intuitive-oriented reader. This entry was posted in Uncategorized and tagged acid, channeling, counterculture, death, Frank DeMarco, Frank Tipler, hippie culture, Jane Roberts, Ken Kesey. aftedeath communications, LSD, mediumship, noospehere, philosopher's stone, Physics of Immortality, psychedilics, Robert Anton Wilson, Seth, Terrence McKenna, the Greatful Dead, Tom Campbell, war on drugs, William Bevidere, William James on December 23, 2015 by admin. We are unto the edge in defining consciousness. It is obviously everlasting without beginning nor end.